The Chinese Australian Historians of Victoria (CAFHOV) group are embarking on an ambitious project to digitise and transcribe the Victorian Registers of Certificates of Exemption from the Dictation Test. These records are highly valuable sources for family historians searching for their ancestors who returned from China from 1904 to 1959. Currently they are stored at the National Archives of Australia in North Melbourne. There is no index to them, so researchers need to spend hours looking at the physical books to find what they want. The project aims to make publicly available a searchable database of records of family names and shipping records but we need help with the transcription. The CAFHOV is seeking the assistance of the public to help us achieve this valuable task. Included in the day’s activities will be a presentation in the morning by historian and curator Sophie Couchman about why these CEDT registers are important and how you might use them in your research and an afternoon presentation by CAFHOV members Ming and John Griffith about their research into Ming’s family that eventually led to Ming reuniting with her family in southern China. Helpers can either attend this event or provide transcription help via our online system. To register, simply email info@cafhov.com. What will I do on the day? You will be assigned some documents to transcribe and transfer to an online database. On the day, you will be provided with all the training to help you with this task. We need people who can enter information into a computer and people who can read old-style handwriting. If you are comfortable with computers but have little experience reading old script, we need you. If you can read old script but don’t like computers, we still need you. We will be helping each other as much as possible. This event is free and kindly supported by the Chinese Museum. Normal entrance fees to the Museum apply. How do we see our grandmothers? What do they mean to us? Or, more importantly, what do we mean to them, and how do they see themselves? At the Chinese Museum’s special after-hours event, settle in with a cup of tea and listen to two remarkable Chinese grandmothers share their experiences of how they responded to the many new pleasures and demands of being grandmothers. Free entry, food and drink provided. Bookings essential. What’s happening: Free entry to the Chinese Museum for grandmothers, grandchildren, and their families. Come and share your family stories, recipes, photographs or heirlooms, and have them filmed for the Museum’s permanent archive. In our all-day children’s workshop, Chinese Museum staff will guide kids to write, draw, and share their favourite things about their grandmothers. No booking required. An opportunity to meet the creators of the Grandmother exhibition and gain insight into the creative process behind the installations. Come and hear more about Chinese Museum’s Grandmother project that sees the curators and participating artists bring new curatorial perspectives into the theme. In a 50-minute panel discussion, they will introduce their individual exhibition inspiration and how living in Australia has shaped their art and career. The discussion will be followed by light refreshments and open Q&A. Free event, all welcome. Judy Leong completed her Master of Fine Arts at RMIT University in 2010. She also has a BA Fine Arts, a Diploma of Visual Arts and a Diploma of Stitch and Studio Textile. She is a practicing artist and also teaches textile art and patchwork from a studio in Melbourne. Nicholas Chin received a Bachelor of Art (Fine Art) and Postgraduate Diploma Art Management from RMIT University. He has participated in various group art shows and previously exhibited at the Chinese Museum in a solo show in 2015. He also freelances as an artist to help with art and design projects. Currently, he is a practicing artist and works in aged care. Tammy Wong Hulbert’s career has spanned working as an artist, curating, lecturing and researching in the field of contemporary art. Tammy lives and works in Melbourne, Australia and currently lectures at RMIT University in Curating Contemporary Art in the Masters of Arts (Arts Management) program for the School of Art. Yinghong Li was born in Foshan China, a city known for its history of ceramic decoration and art. In 2005, Li came to Australia to study. She graduated from the Master of Fine Art program at RMIT University in 2009. Having studios in both Melbourne and Foshan has allowed Li to travel and experience daily life with her family in both cultures. Her artwork combines contemporary elements with influences from more traditional Chinese culture. Xiao Yu Bai lives in Melbourne. She has a Bachelor degree in Design from the Academy of Art and Design, Tsinghua University and received a degree in Advanced studies (Traditional Chinese painting) from the Central Academy of Fine Art in Beijing, China. In Australia, she obtained a Bachelor of Fine Art from Monash University, and a Masters and Doctorate of Fine Arts from RMIT. Xiao Yu Bai has had over 40 solo and group exhibitions and won the Siemens RMIT Fine Art Scholarship Award, the Siemens Acquisition Prize, and the RMIT Master of Fine Arts Student Graduate Exhibition Prize. Emilia Johari has been a practicing artist since the 90s, specializing in murals, film, ceramics and glass. She recently has become interested in creating installations as she enjoys viewers’ interactions with her artworks. With this installation, she invites viewers to hold the objects presented on the dresser and immerse themselves in her grandmother’s daily ‘beauty’ ritual while standing in front of the mirror. This exhibition is part of the flagship project presented by Multicultural Museums Victoria. 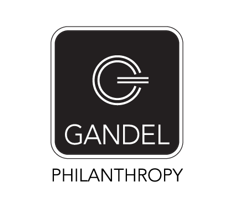 Multicultural Museum Victoria is proud to have Gandel Philanthropy, one of the largest private family foundations, coming on board as the Principal Partner, supporting the 'Grandmother' Project exhibitions across all five museums. As was often the case in Chinese culture, grandmothers were often caretakers for their grandchildren while the parents went out to work. They were industrious and told stories, cooked meal and sewed clothes. Their emotional handiwork has left an indelible stamp on their grandchildren. In conjunction with our Multicultural Museum Victoria (MMV) members, the Chinese Museum invites you to embark on a complex and rich journey. Explore the theme of ‘Grandmothers’ through the work of six contemporary Chinese Australian artists: Nicholas Chin (Co-Curator), Tammy Wong Hulbert, Emilia Johari, Judy Leong, Yinghong Li, and Xiao Yu Bai. Wàipó 外婆 is a common name in Mandarin for grandmother. In China different names are used to signify a maternal or paternal grandmother. The exhibition curator and artists had difficulty agreeing on a name for the exhibition. Wàipó 外婆 was finally selected because it favours the maternal line. The six participating artists come from very different backgrounds, which reflect the changing demographics of the Chinese diaspora in Australia. Their responses to the exhibition theme of 'Grandmothers' has been equally diverse. Four of the artists have created installation works that incorporate a variety of media including ceramics, fabric and artefacts. Two of the artists have created paintings to explore the theme. The exhibition contains many layers of meaning but finally demonstrates the fundamental role of grandmothers in the lives of their grandchildren and families. We invite you to explore Wàipó 外婆, a powerful tribute to grandmothers everywhere regardless of language and culture. Grandmothers: Seen through the Eyes of Six Contemporary Chinese Australian Artists will run until the 16th of August 2018. The Chinese Museum exhibition is part of collaborative project exploring the theme of 'Grandmothers' in different cultures with the Italian Historical Society & Museo Italiano, the Hellenic Museum, the,Islamic Museum of Australia and the Jewish Museum of Australia. *Free event. RSVP via this LINK or EMAIL to marketing@chinesemuseum.com.au for free entry. Melbourne is one of the world’s great multicultural cities, where opportunities for discovery abound. 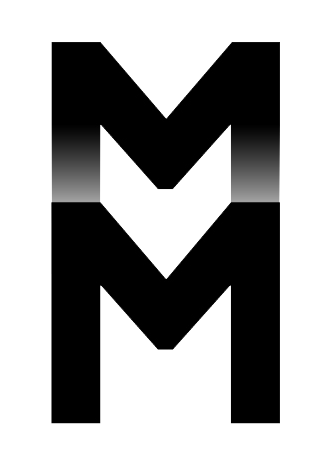 Under the MMV banner, we’ve brought together a unique partnership of five ethnic museums to share our rich cultures and present exciting joint programs and events. Whether you’re a local or just passing through, explore five cultures that have helped shape our vibrant and diverse city. Immerse yourself in our dynamic exhibitions, events, talks and workshops and discover endless possibilities for cultural engagement.